Mix together the flour and sugar in a large bowl. Add rhubarb and toss to combine. 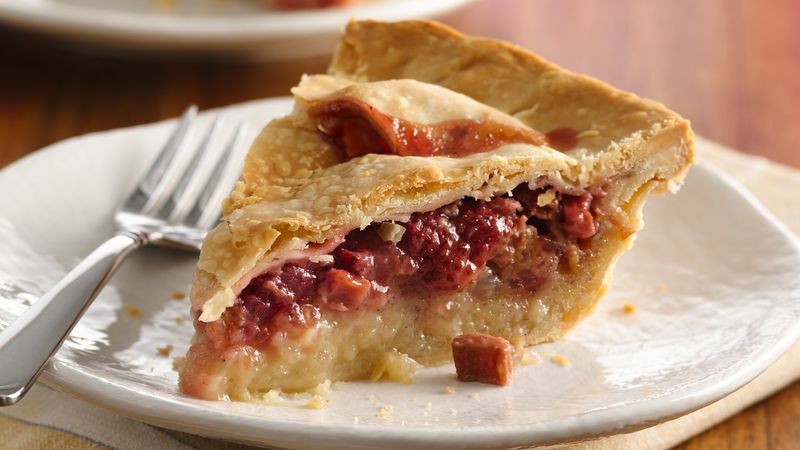 Roll out your bottom crust and place in a pie plate. Add the rhubarb to the pie plate and dot with butter. Roll out the top crust and either cut strips to weave or top with the whole sheet of dough. Trim edges and crimp the two crusts together. Cut some air vents in the top of the crust if you’re not making a lattice top. Place pie on a baking sheet and bake for 10 minutes. Reduce heat to 350º and bake for 30-50 more minutes OR until the filling is bubbling in the middle. Cover edges with foil if the crust is browning too quickly during the baking.